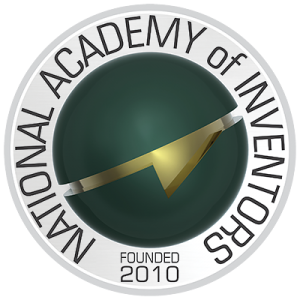 The National Academy of Inventors® is a member organization comprising U.S. and international universities, and governmental and non-profit research institutes, with over 4,000 individual inventor members and Fellows spanning more than 250 institutions worldwide. The NAI publishes the multidisciplinary journal Technology and Innovation, Journal of the National Academy of Inventors®. Membership with the NAI is available through local university and non-profit research institute chapters only. To join your university or non-profit research institute’s chapter, you must be a member of your institution’s academic community (includes faculty, staff, alumni and affiliates) and have a patent issued from the USPTO. Universities and non-profit research institutes are invited to Establish a Local Chapter of the NAI, to recognize and encourage their community of inventors. In early 2009, Dr. Paul R. Sanberg, senior vice president for research, innovation & economic development at the University of South Florida (USF), pondered how many of his colleagues were inventors within his university community. Sanberg, a renowned neuroscientist, entrepreneur, and senior leader among his peers, held a luncheon and invited all USF faculty and staff who held an issued U.S. patent to attend. Over 100 innovators from across disciplines showed up for the event. He soon realized a significant need existed to highlight the importance of recognizing academic invention and the important role that patents play in university research and innovation. Soon after, the USF Academy of Inventors was established to recognize inventors on campus for their accomplishments in patents, licensing and commercialization. As Sanberg shared this concept with his counterparts at leading research universities around the country, it quickly became apparent there was a national need to change the culture within academia to honor those inventors who patent their discoveries and stimulate the economy by bringing their products to the marketplace. This realization marked the inception of the National Academy of Inventors® (NAI). The early adopters of this organization set the foundation of what is today the NAI. The founding 9 NAI Charter Member Institutions include: University of South Florida, Georgetown University, Embry-Riddle Aeronautical University, University of Akron, University of Cincinnati, Auburn University, Boston University, University of Nebraska-Lincoln and Stevens Institute of Technology. Since 2010, the NAI has grown to boast a membership of over 200 institutions in the U.S. and worldwide of all sizes, concentrations and innovative focuses. View the Full List of NAI Member Institutions. Over the past several decades, university missions have expanded from teaching and research to include economic development and translating university-based research into real products that benefit society. It is time these accomplishments were recognized for the value they bring to the university and to the world. As the NAI rapidly gained national attention, a partnership flourished with the United States Department of Commerce. On February 16, 2012, the NAI was inaugurated by David Kappos, former Under Secretary of Commerce and previous director of the United States Patent and Trademark Office (USPTO), as part of the Inaugural Annual Conference, which was held February 16 and 17, 2012, in Tampa, Florida. It was there that a discussion was held to identify and consider how to meet the need for a higher level award for leading academic inventors to be honored and recognized for their contributions to society. Following suggestions at the annual meeting, the NAI Fellows Program was established to highlight academic inventors who have demonstrated a prolific spirit of innovation in creating or facilitating outstanding inventions that have made a tangible impact on quality of life, economic development and the welfare of society. Learn More about the Fellows Program. Since then, the USPTO has been a valuable friend and partner of the NAI and its mission. This collaboration was formalized with the signing of a Memorandum of Agreement at the NAI’s fifth annual meeting in 2016. The agreement outlines the opportunity for the USPTO and the NAI to work closely on mutually beneficial projects to enrich education outreach, honors and awards, and programs relating to intellectual property. The agreement includes a commitment from the NAI to host its annual meeting and Fellows Induction Ceremony every other year at USPTO headquarters in Alexandria, Virginia. The NAI is a breakthrough for our country. It couldn’t be more timely to have an organization like this to be championing innovation. The NAI Annual Conference continues to be held each spring and features stimulating presentations and networking with renowned inventors from across the U.S. and around the world. The meeting serves as an arena where innovation and entrepreneurship in the academic world, leading to local and national economic development, is recognized, honored and cultivated. The event has become a collaborative forum for more than 400 faculty and leaders from over 180 prestigious research institutions to come together and share their ideas. The NAI fills a vital need by bringing together innovators from across disciplines to be recognized for their groundbreaking contributions in research, patents and commercialization. I am honored to be a Fellow of this important national organization. Recognized inventors from USF and around the world gather in Washington, D.C., on April 14-15 to share ideas, collaborate on emerging markets and highlight scientists and their inventions that have made an enduring impact. This is NAI’s Annual Conference and inventors need support more than ever before through encouragement and investments. Today, the NAI, comprising more than 4,000 individual members globally, is known as a beacon for academic inventors everywhere to continue their pursuit of the next great discovery. The Academy continues to share the mission of honoring academic invention as it grows in membership and new, innovative initiatives. Now, more than ever, we need American innovation, which is why we cannot suppress the technology developments created by the National Academy of Inventors from entering the market. Since its founding, the NAI has played a vital role in changing the culture of valuing patents and commercialization within its member institutions across the country. When six university leaders took the stage at the 2013 Annual Conference of the NAI, they began a national conversation on changing the academic culture to recognize faculty patents and commercialization activity toward merit and promotion. The question posed to that initial panel—”Would Thomas Edison Receive Tenure?”—asked them to ponder Edison’s chances of receiving tenure at an academic institution. The answer was two-fold, with the panel offering a resounding yes for his present-day chances while noting that in his day it would have been a no. Thus began the important conversation about changing the culture. The paper resulting from the panel, “Changing the academic culture: Valuing patents and commercialization toward tenure and career advancement,” was published in Proceedings of the National Academy of Sciences (PNAS). Today, this important initiative continues to gain national attention. Several organizations and university leaders are recommending and reporting on best practices for university intellectual property management, including such groups as the Association for Public and Land-grant Universities (APLU) Task Force on Tenure, Promotion, and Technology Transfer and the Association of American Universities (AAU) Working Group on Technology Transfer and Intellectual Property. A paper on the APLU Task Force’s work was published in the NAI journal, Technology and Innovation.